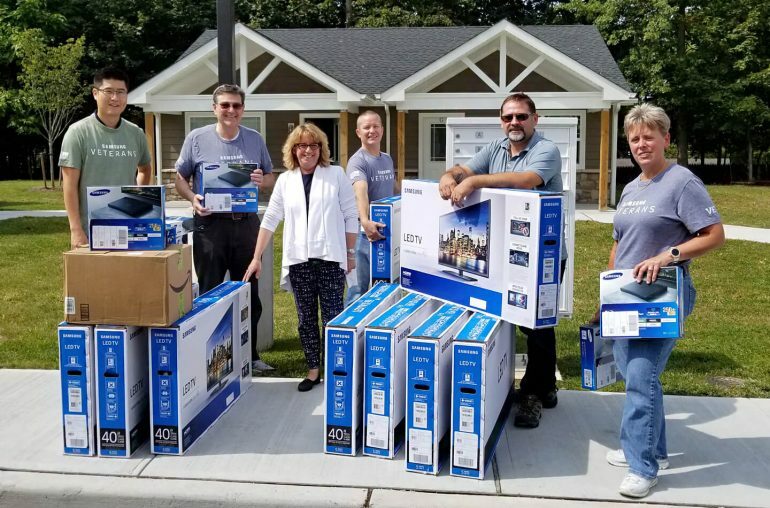 Samsung Electronics donates Home Entertainment systems with 40-inch Full HD LED TV to new veterans housing complex in New Jersey. Fourteen U.S. military veterans with disabilities moved in to the newly constructed Bergen County, N.J. homes this autumn, thanks to a unique public-private partnership. Samsung Electronics is proud to have furnished the home entertainment systems in each of the residential units. The Emerson Veterans Supportive Housing complex, in Emerson, New Jersey, officially opened on October 11 with a ribbon cutting ceremony. 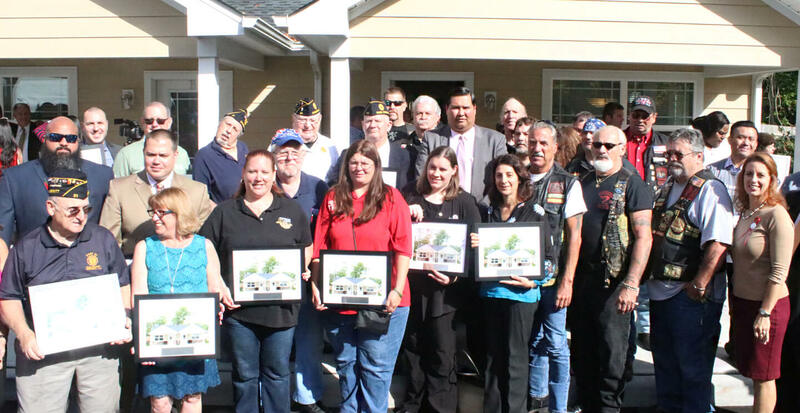 The new homes – 14 semi-detached, one-bedroom, affordable rental units – represent a public-private partnership that saw the American Legion, the Department of Housing and Urban Development, the Bergen County Housing Development Corporation, and many non-profit organizations and area businesses work together to house these American heroes, some of whom had previously been homeless. Samsung America joined with other corporations in donating consumer electronics, services or funding for the project, providing 14 new 40-inch, high-definition LED televisions, along with Blu-ray players and movies on DVD. Members of the Samsung Veterans Community delivered and installed the electronic devices, as well as indoor HD antennas, in each of the homes in the seven-building complex. 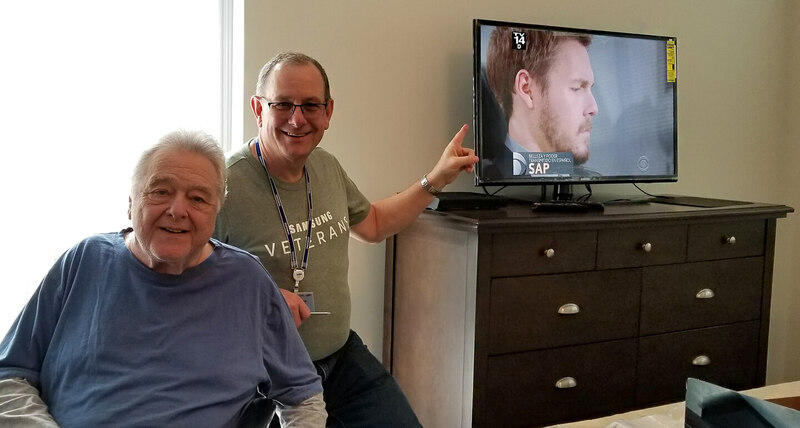 The indoor HD antenna saves money each month for the low-income residents of the Emerson Veterans Supportive Housing complex, because it allows them access to local TV stations. At Samsung, our responsibility to the communities we live and work in is foundational to our corporate culture. The Emerson project was a great opportunity to support veterans in Bergen County, home of our U.S. headquarters. We’re always looking for opportunities to be a good neighbor, said John Hendrick, Samsung Electronics America Veterans Community Chief Advocate. Samsung Electronics also donated individual collections of 40-50 movie DVDs for each unit, and a lending library of hundreds more movie titles is in the making. The Samsung Veterans Community uses technology to enhance the lives of veterans and to create opportunities for military communities nationwide.